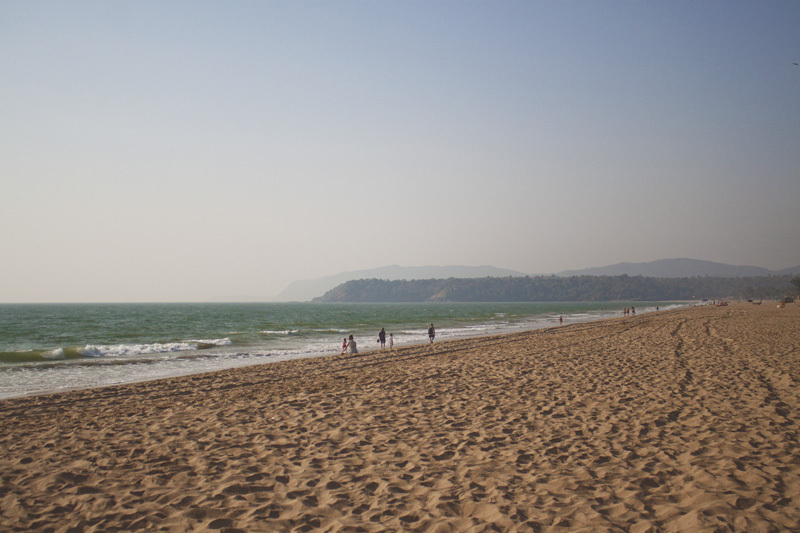 Many other travelers I have met told me that Goa is not the real India, and for having spent a few days in Mumbai, I can see that Goa is a little “easier” than other Indian destinations for first-time visitors. 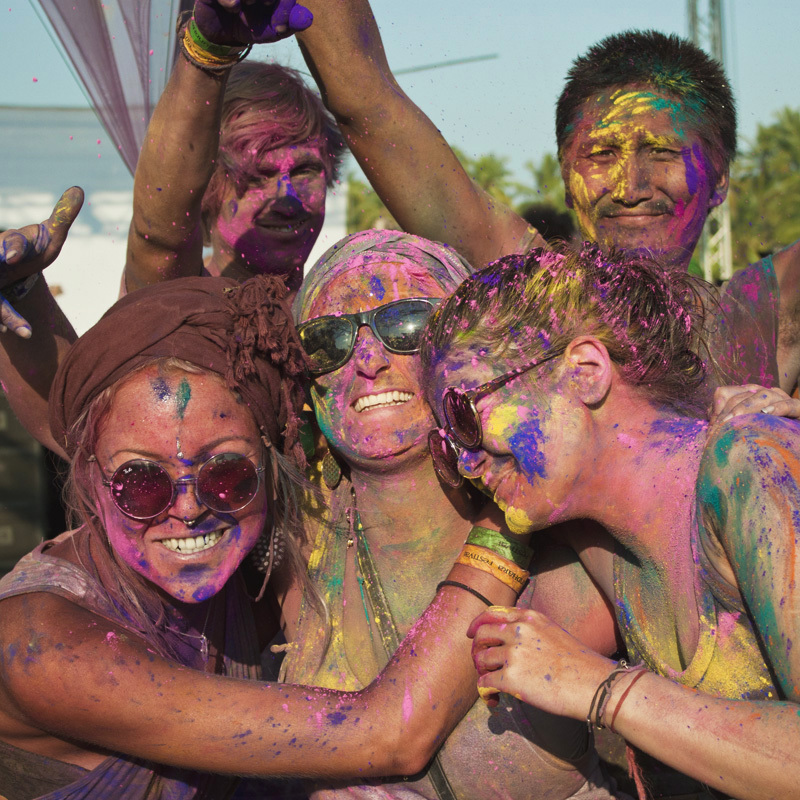 As such, I loved Goa – it was a great introduction (and one of the best places in India for solo female travelers) and made me fall in love with India and I am now dying to see the rest of this vast and complex country. Ps… Right this way for more India travel tips! I traveled by taxi with a group of friends between the yoga retreats in India I visited, but this can be a little pricey in the long run. The best would be to visit by motorbike, or even better bicycle, which is what I would love to do next. Most accommodations in Goan beach towns are temporary and torn down before the monsoon hits the coast every season, so there are no skyscrapers or five star luxury resorts around, which is something I loved about Goa. Finding a cheap beachside hut anywhere should be easy and simple living is de rigueur all over the province. 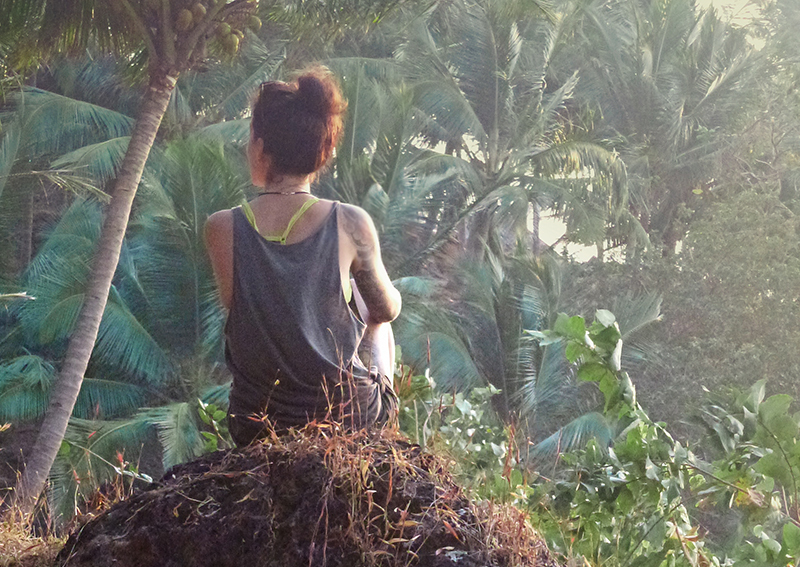 Agonda was my first contact with the outside world after being secluded in the Goan jungle for a yoga teacher training for four weeks. The town consists of a long stretch of golden sand dotted with a few shacks, restaurants, bungalow and cows – a lot of cows. 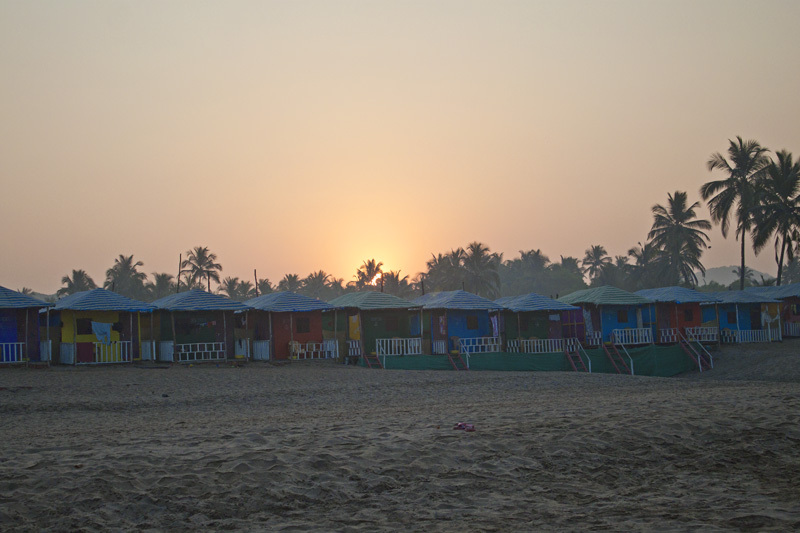 The vibe is quiet and a little more mature than elsewhere in Goa. There are people practicing yoga and meditating early on the shore and on the big rocks at the end. It is also the gateway to the secret fresh water lagoon known as Cola Beach and its private resort, a little oasis I discovered on my last day there that I am dying to revisit for an extended period of time. 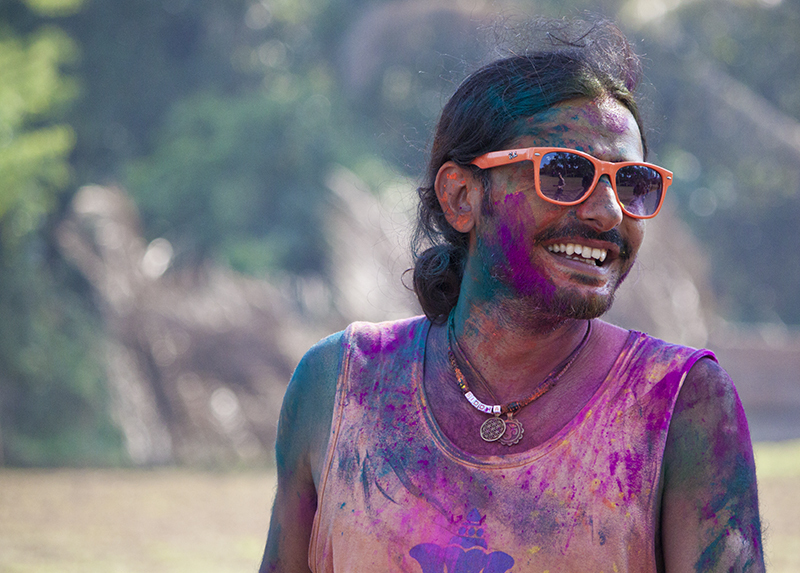 It’s super laid back and easy, but just to be sure, here’s a guide to what to wear in India. Eating vegetarian is a breeze in India and eating vegan can be as simple as asking your food to be cooked in oil rather than ghee, so you don’t need to seek out the fancy places to be able to eat vegan. Beware that there is often dairy hiding in curries and dahls – it’s always best to ask. A little out of the way from Agonda, but so worth the detour for the fresh and healthy vegetarian and vegan menu. 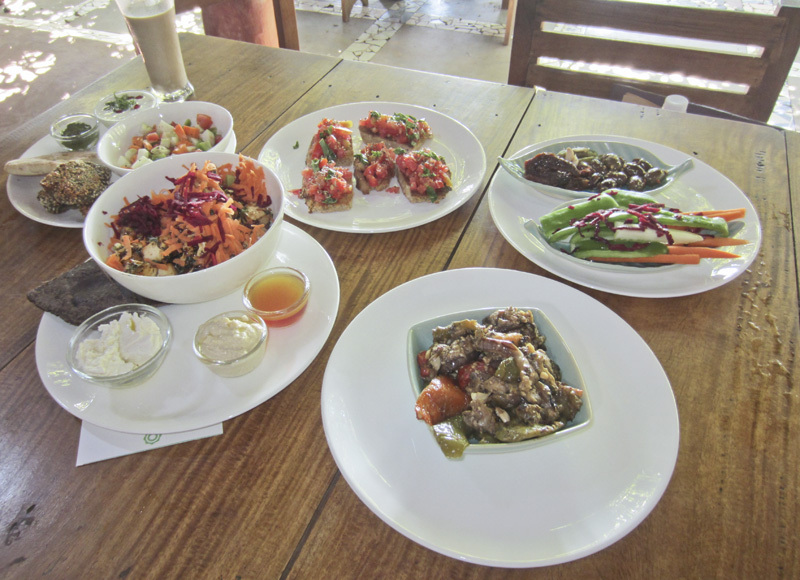 If you come with a group, I recommend you get a bunch of different things to share such as the tempeh, spinach and baby corn stir fry, the avocado salad with scrambled tofu and millet chapatti or the spinach pie with pomegranate salad, raw veg sticks, sour dough bread and cashew dip. There is about half a million places called Fatima in Agonda, but this one refers to the small grocery store at the intersection right in front of the church in the center of town. Here I found 1 litre bottles of kombucha, amazing teas (the rose chai is great), ayurvedic cosmetics, dark chocolate and a whole lot of other health food items. A great place to buy souvenirs. A chilled out sandy terrace facing the ocean that is perfect for sungazing whilst sipping on lemonana (lemon and mint slushie) and munch on one of their healthy salads. Make sure you stay for sunset. A little out of the way also, tucked in a garden away from the beach, this lovely place offers different vegan and vegetarian options such as pumpkin and tofu coconut curry, butternut squash hummus, mint chapatti, healthy juices and coconut milk shakes. This is where I stayed while in Agonda and the food was surprisingly great. I did not try any of the Italian food, but all their vegan Indian dishes were great – I am obsessed with the mushroom tikkas! 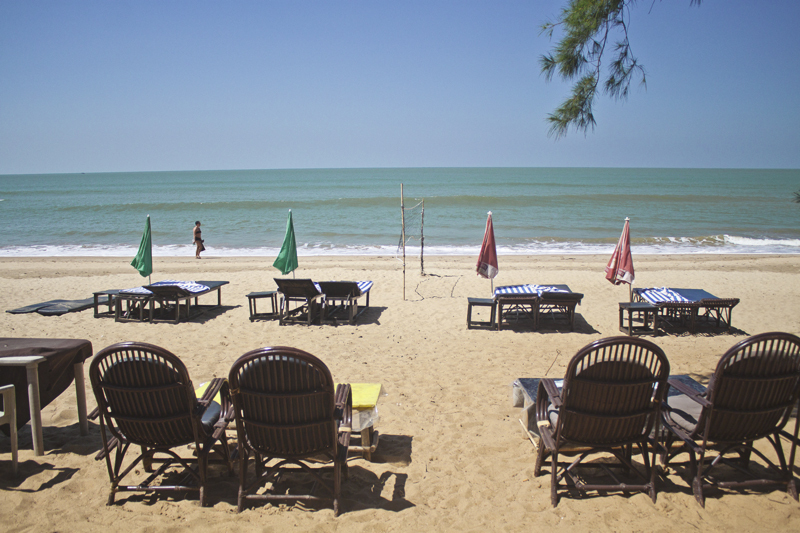 The accommodation is basic but the location is great, just a few steps from the beach. 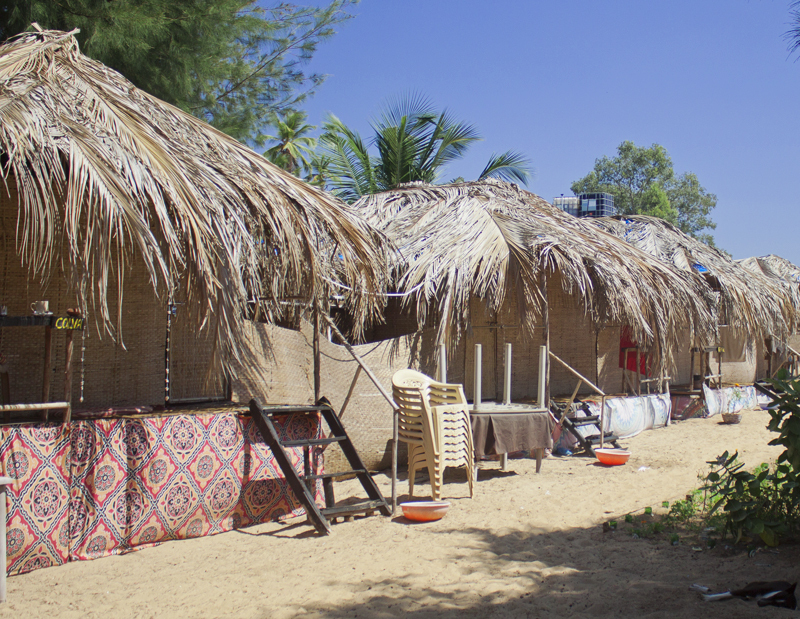 Patnem and Palolem are neighbor beaches, but their individual vibes are quite different from one another. 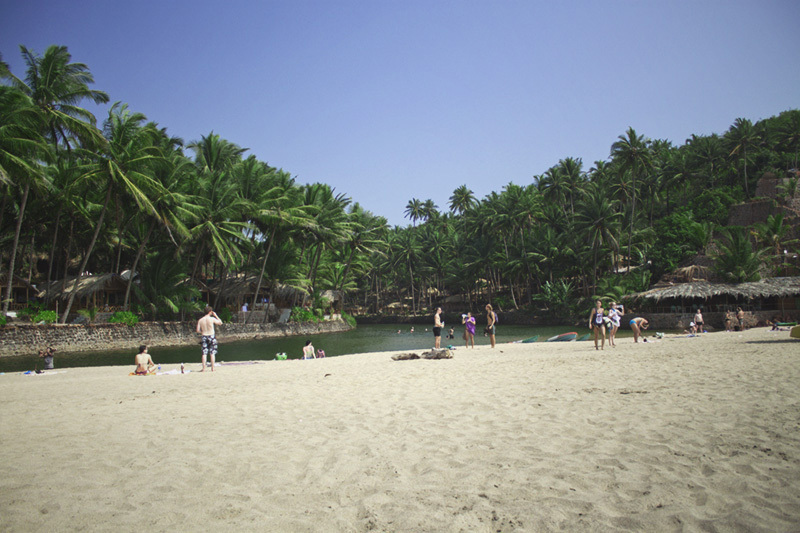 Palolem is a fair bit busier with more shops and restaurants, a bigger crowd and some nightlife. 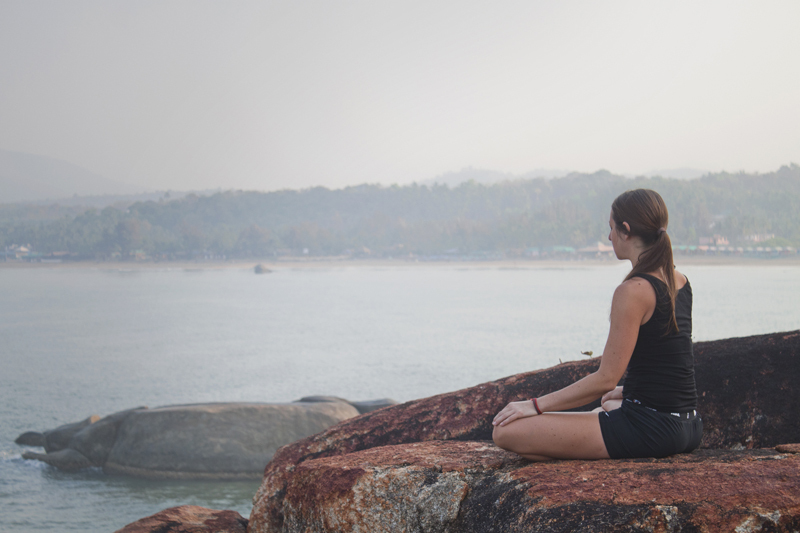 Patnem is home to several yoga schools and is a lot quieter. As such, I much preferred it to Palolem. Both are definitely worth a visit, however. Pretty much the same recipe as Agonda here: a long stretch of sand with a few bungalows scattered about and some hippies roaming aimlessly (just kidding, partly). I stayed at Lotus Oasis, which was basic but super friendly. They have great green juices in the morning. Great atmosphere and food with several vegetarian and vegan items. The mezze platter is to die for and close second is the selection of salads, sandwiches and juices. A great place to hang out with friends. A lovely little oasis serving deliciously healthy vegetarian and vegan dishes, best shared amongst a group of people. 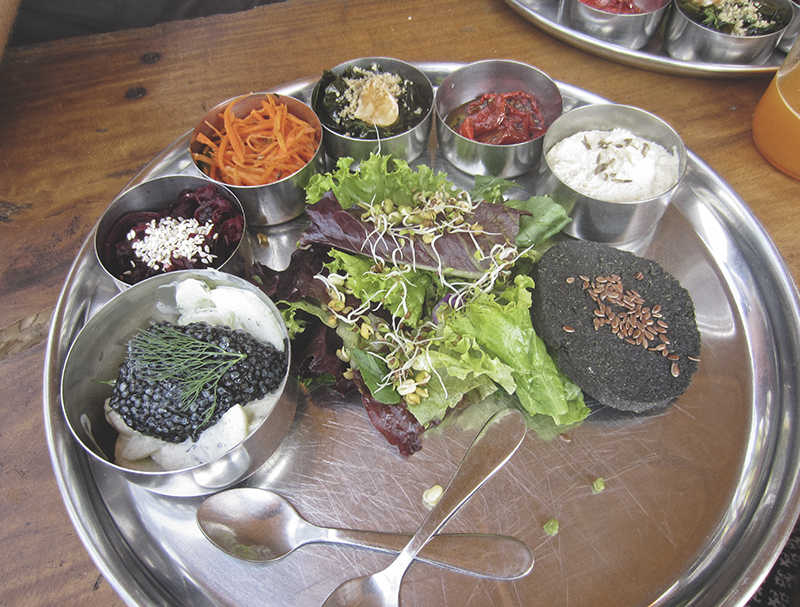 The Space has a deli counter with takeaway food and sells organic spices, ayurvedic products and handicrafts. They also hold various workshops as well as yoga and pilates classes. Save some room for the amazing raw vegan desserts. Zest has an excellent juice bar with weird and healthy green concoctions, just the way I like them. It’s also a nice place to relax and meet all the yoga students in the hood. 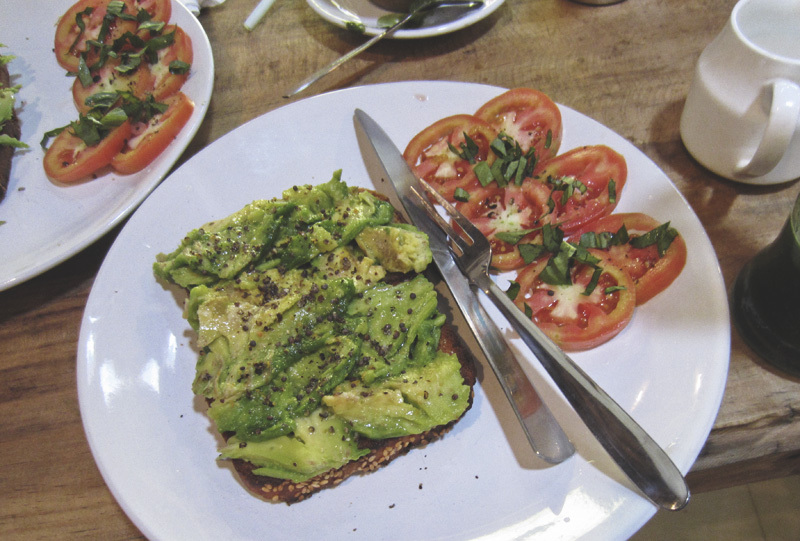 Nice avocado toasts, salads, homemade nut milk and ice creams and a great raw vegan dessert selection. Very tiny and cozy, come in early, sit next to a stranger, make a new friend. Arambol is the last place I visited before I left Goa, mainly because of the Vasundhara Festival that was being held there, an Environmental Arts, permaculture, music and dance event that a bunch of friends and I decided to grab a cab and drive the whole Goan coast to attend. I was not in love with Arambol, mainly because of the crowd, but also because I didn’t find the beach and the village nearly as nice as in the South. You can’t really find a bungalow directly on the beach unlike Patnem or Palolem here. 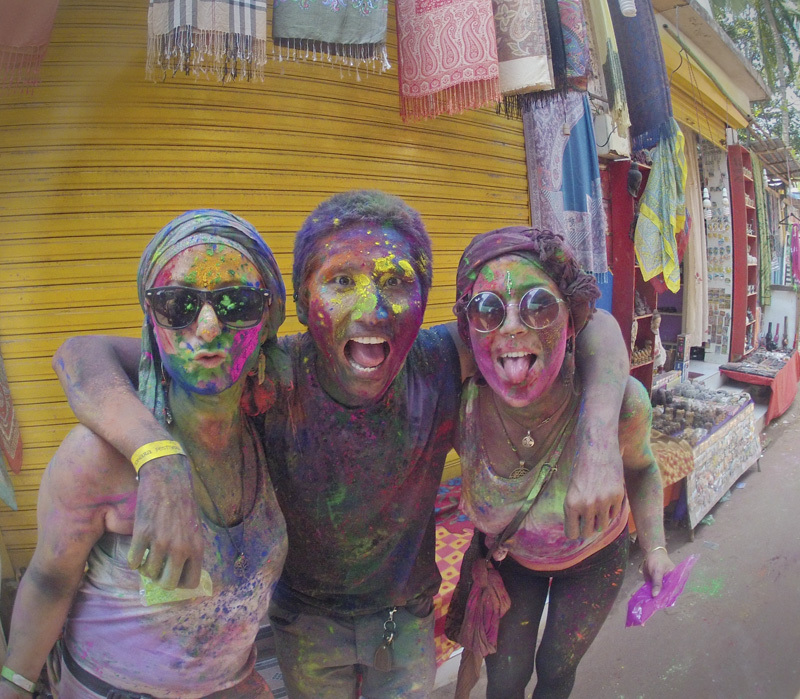 We however had a blast for the Holi festival in Arambol and I think the town slowly grew on me. 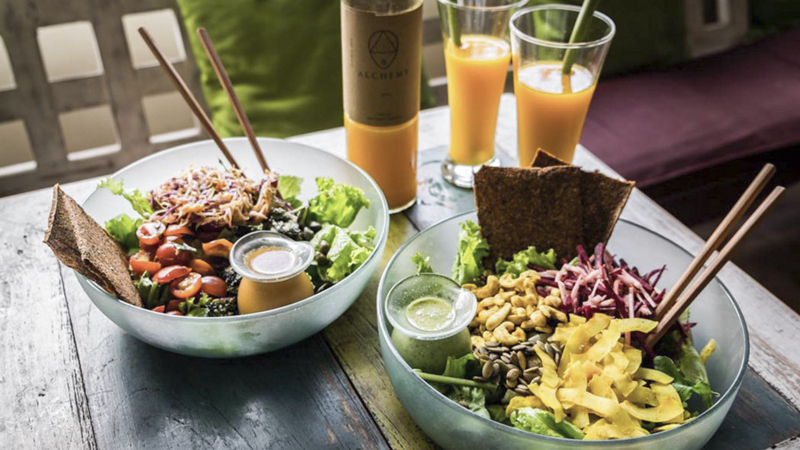 A fully raw vegan café with a great serene atmosphere serving an amazing thali and some tasty veggie juices. Everything is of the utmost freshness and the execution is flawless and super original (like the use of asafoetida to mimic the taste of mayonnaise in some dishes). 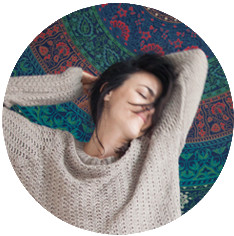 This place feels a little bit like the brainchild of a stoner. As odd as some items on the menu may sound or look, all of the dishes I tried here were absolutely delicious, apart from the breakfast, which fell a little flat. From tofu balls with a blue spirulina center, to raw vegan ice cream with dubious ingredients such as celery and sundried tomatoes, to the resident silent Baba smoking weed out of an apple, everything at Once in Nature is slightly unsettling, but nonetheless amazing if enjoyed with an open mind. Quite a trip. Tucked away behind the eponymous clothing shop, this beautiful secret restaurant became my go to for breakfast and brunch on most days. The menu showcases several clearly labelled vegan options and great smoothie, coffee and tea selection. Friendly staff and a lovely chilled ambiance. That’s all I managed to cram into 10 days!!! Gorgeous piece ! This year we are planning to go to either Dubrovnik or Budva ! Thanks for the chance ! What a wonderful guide, I’ve heard a lot about India and Goa in particular, most all of it positive and putting it on my travel bucket list. Machu Picchu is where I really want to go 1st and definitely my choice for the next travel destination! Thank you for haring these wonderful pictures! I would love to travel to Scotland. My ancestors are from Scotland and I love to see where they lived. I would love to go Turkey this summer. I’m thinking about Romania to see something new, and coming back to the Balkans. Was very interesting to read about Goa! I hope I will travel there someday too, so this tips were very nice!!! That is a beautiful piece. I would love to travel to Paris this summer. I actually hope to travel to India, so this post was an absolute delight to read! Ever since I took a class on Indian politics, I’ve been obsessed with the country and have been eagerly awaiting my chance to take off! Thank you so much for the kind giveaway! I’m not entering the giveaway. I spent 4 months in India back in 2006. Spent most of our time in Hyderabad. We got to visit Agra and the Taj Mahal, many forts, New Delhi and Goa too! I loved it as much as you do! I would like to visit the Alaskan coast. Next I’d like to go to Norway. Almost literally opposite ends of the earth, but the next two entries on my list are West Africa and Iceland. I’m thinking a big trip next year…. travel on! Of course! Planning to visit Goa soon? I’d love to hear how it was for you! Wow! Goa is a dream place for me to visit! This is an outstanding guide. How many days would be enough for exploring it properly? Thanks for the nice post. 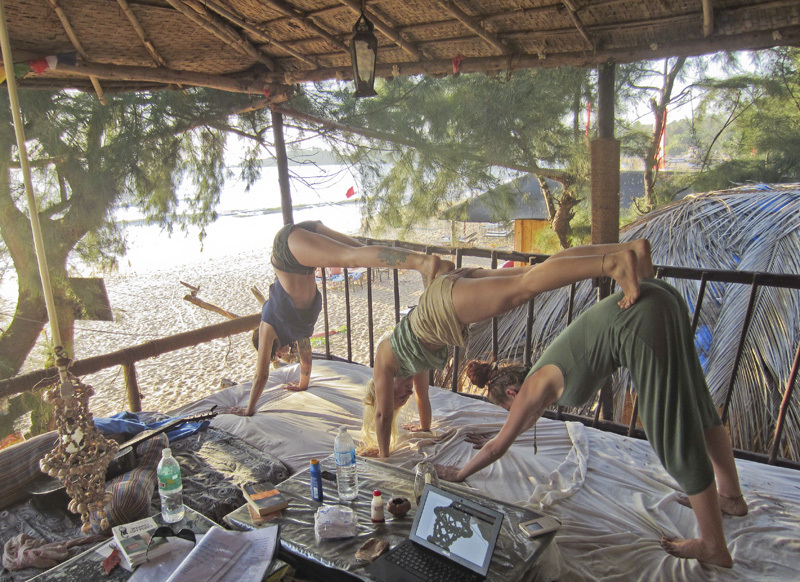 i would like to come Goa for yoga teacher training program.